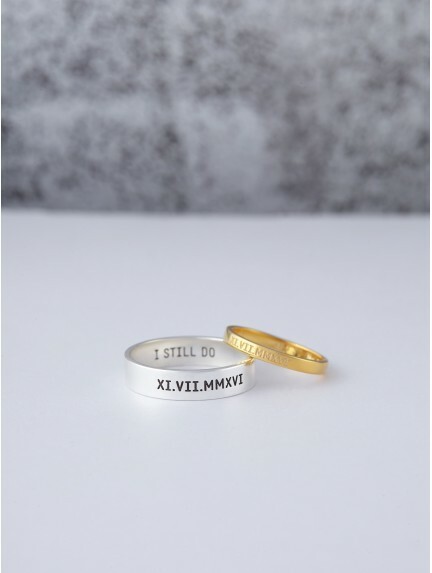 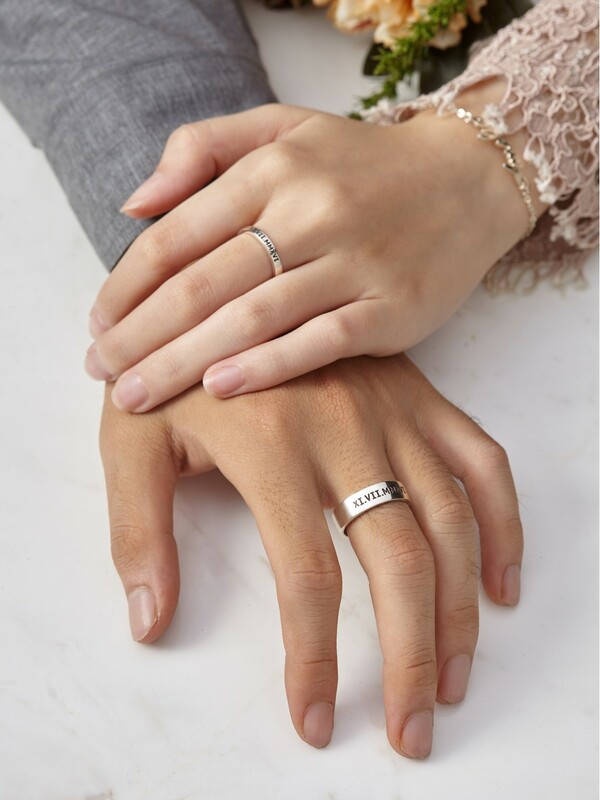 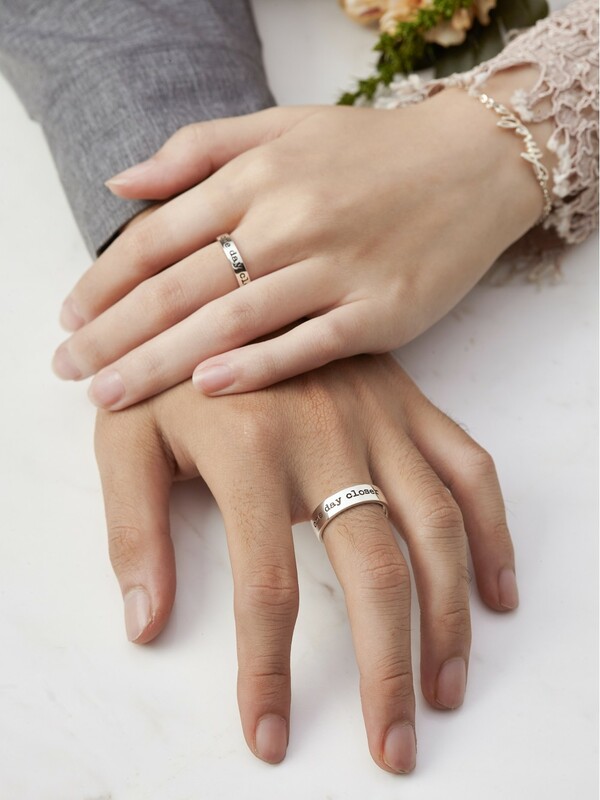 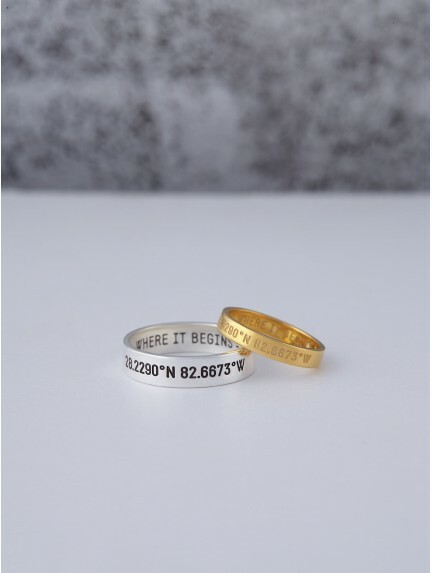 Our sterling silver matching rings for couples can be engraved with anything: from a roman numeral date to coordinates of a place special to both of you. 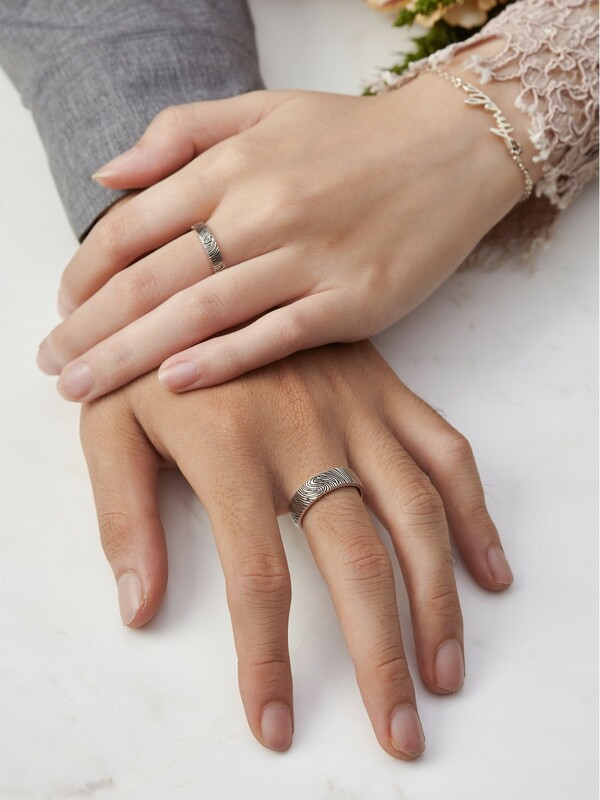 Handcrafted to order by our in-house silversmiths, our personalized matching rings for couples are meaningful Valentine's Day gifts or anniversary gifts that signify your bond and commitment to each other. 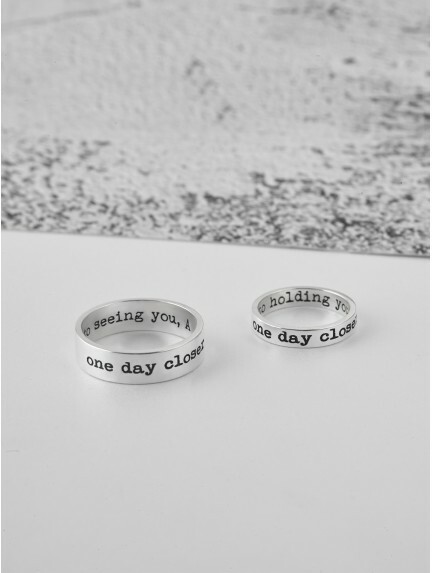 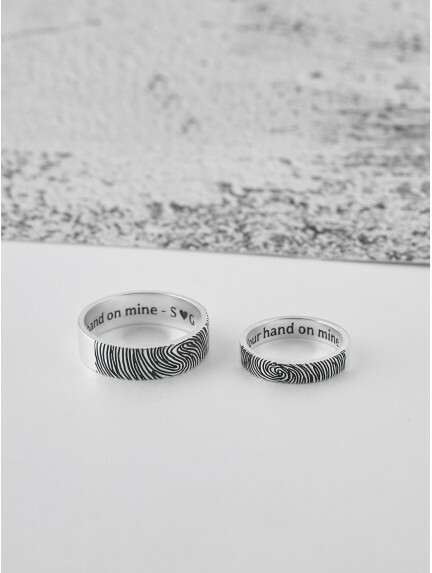 These engraved rings for couples can be engraved on the outside, inside or both, to suit every couple's needs, from those who want a more subtle choice of couple's ring set, to those who can't wait to show off their love for each other.